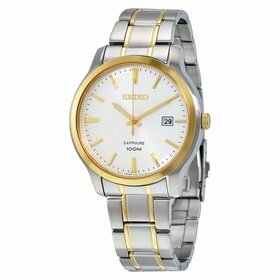 The beautiful Seiko SNDC31 watch features a stainless steel 40mm case, with a fixed bezel, and a beige dial covered by a hardlex crystal. 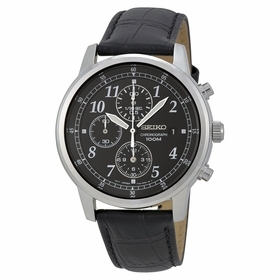 The stylish wristwatch is equipped with an exclusive 19mm leather which combines comfort and sturdiness. 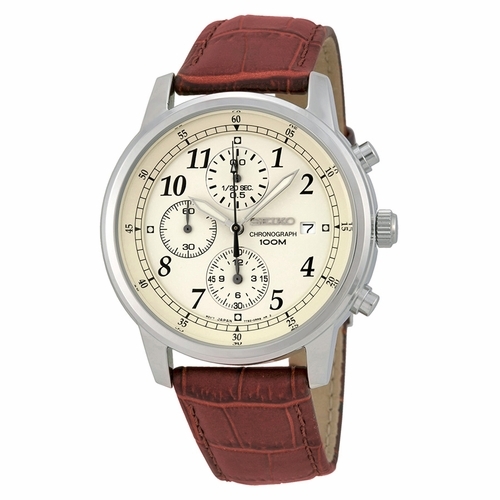 This horological trendy device has hours, minutes, seconds, date, chronograph functions. 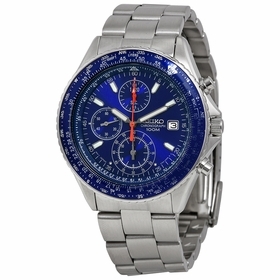 At the heart of this timepiece is Seiko Caliber 7T92. The Quartz movement keeps the hands revolving smoothly and accurately for precise, reliable timekeeping. It picks up all the advantages of this high-performance �engine�. This magnificent watch has a water resistance of up to 330 feet/100 meters, suitable for recreational surfing, swimming, snorkeling, sailing and water sports. This elegant masterpiece is sure to complete any man's collection.